The Ebony Horse Club in Brixton, South London, is a community riding centre in one of the country’s most disadvantaged neighbourhoods. Pioneered by Ros Spearing, who for a number of years, had been taking an after school club of children for riding and horse care lessons at stables across London. She realised that a more permanent solution was required to help local children with difficult family backgrounds or who were in care. The ideal solution would be to establish a permanent riding school where the young people could, in total safety, learn to relate to others by caring for, and understanding horses. They identified a disused bomb site and prevailed upon Lambeth Council to grant them a lease after clearing the detritus left by drug users over the years. Ros was later awarded an MBE for her work in the community. 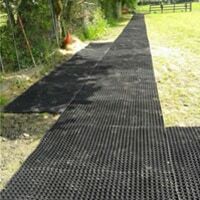 In August 2011 Fieldguard were asked to install stable mats and wall mats in the nine stables at the Ebony Horse Club. First we installed the M6 EVA wall mats and that included covering a tricky piece of trunking up one corner of each stable. The floor mats were the M4 EVA mats, each one of which we numbered on the underside to aid the children re-lay the mats after the mats had been taken out for their annual clean. The wall mats needing over a 1000 holes drilled in to the concrete block walls for the plastic fixings! And nearly 100 holes very carefully drilled in to the hardwood doors to install to the wall mats to prevent the noise made by the horses kicking the doors in anticipation of feed time! Leaving Brixton late in the evening of Saturday 7th August we had a rather lucky escape as this was the eve of the London wide riots that followed the shooting of Mark Duggan. Had we chosen to do the installation on the Sunday, we may not have been so lucky! 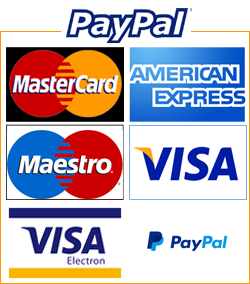 I spent a long time researching various options when I needed to lay stable mats at my stables. It was important to get it right and a choosing a mat which allowed good drainage was key to my decision. When I spoke with Fieldguard, their knowledge was second to none. 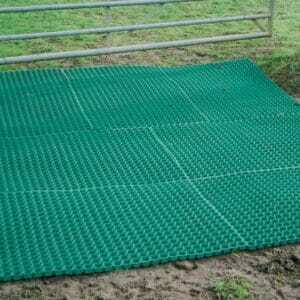 They have several different types of stable mats and they help you to choose the right one for your needs. I was lucky as the builder doing my stables pointed out the value of having proper drainage. I have two internal stables and the floor slopes forwards to a gutter in front of them with a drain on one side. 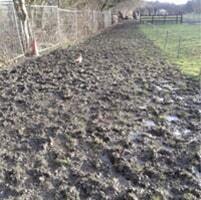 Fieldguard understood this and their M2 Stable Mats have proved a perfect long term solution. The set up is totally amazing and worth every penny if you are a working rider!! 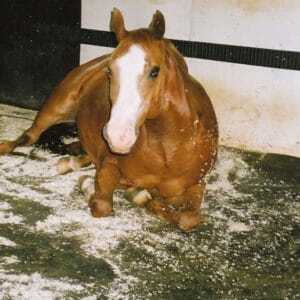 Literally within 10 seconds of the horses urinating, the pee appears in the gutter and runs into the drain. I have been able to abandon bedding, as both my horses prefer to lie directly on the mats, avoiding the bedding when I was giving them a bed on one side. I now just put paper down for a "pee corner". Dirty rugs are really not an issue. I sweep the beds out completely every morning and there is no smell whatsoever, and I haven't needed to clean underneath in more than a year. All my experiences with Fieldguard have been excellent - and their electric fencing is also brilliant. 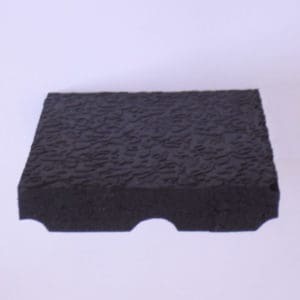 When our Fieldguard honeycomb hollow ring mats were first available, we were contacted by a primary school who had a serious problem with mud and dirt being bought indoors throughout the year after the children had been playing outside. We suggested that they may consider trying our large, heavy duty honeycomb mat, which is what they did with a small section of one of the play areas. They were laid extremely well by the school ground staff, and the result was spectacular in dirt and mud suppression. The following school holiday they decided to complete the job on that section. So pleased were they that the children now had year round access to the outdoors that the following school holiday they covered their final two large play areas. When the delivery lorry arrived it was to be greeted by the groundsman with the comment "I’m on my own, I’ve a bad back so you’d better throw them (all 500 of them) off onto the grass one at a time". Our driver had noticed that next door to the school was a building site complete with a large digger, so he asked the driver if he’d help out. All mats off loaded in 10 minutes and still neatly stacks on their pallets. The mats have proved superb at retaining green grass all year round, and are still happily ‘working’ as can be seen when looking at any pictures of the children playing outside on the school web site. Fieldguard are proud to have been of service, with a durable product that has helped The Russell School for the past 10 years, and will continue to do so many years hence; for the mats show no signs of wear whatsoever. As recounted by the recently retired Greyhound, Bandit. Still new to domestic life at the time. This is an excerpt from his book ‘The Diary of a Dog’ illustrated by Viv Levy and published by Fieldguard Ltd. All proceeds are remitted to Greyhound rescue and re-homing, through either Celia Cross Greyhound Rescue or The Retired Greyhound Trust. And it was an early start. No breakfast and he took an indecent interest in my toilet arrangements. My goodness it was bitterly cold with frozen ground, icy roads and the odd small snowflakes. Then it was a mad dash through the increasing blizzard to the big town. Not the big town where we shop nor the even bigger town over the hill but the big town that is all narrow streets and one-way gyratory systems. Five miles out there was a traffic jam and we were late so he took a long detour down very narrow lanes driving like a manic Mr Toad. We did arrive on time though and the surgery was all warm and cosy with lots of nice nurses billing and cooing over me (years of practice with handlers and kennel maids so I do have a certain ‘something’ and know just how to handle wimmin – you know the sort of thing, stand pressing against their legs all butch and masculine, looking away but give them a soulful glance over-the-shoulder, gets them every time). In the waiting room I just lay contented in the middle of the room – and I can take up an indecent amount of space - with people stepping gingerly over me all the time but Will (a Lurcher and my house mate) was very put out for there was a snapping snarling little dog there as well. Will doesn’t rate small snappy dogs probably because she is small, well matronly, in build. Well smaller than I anyway and that definitely gives her a complex. Have you noticed that people always have egos in inverse proportion to their size? Now back to the X-ray. They eventually took me through to a room full of comfy cages so, never one to miss a trick; I had to test out one of the larger ones. Hmm, it was good so I curled up contentedly. Snarling, snappy came into one of the smaller ones on the next floor. Then they came and gave me that little prick in my leg that usually means slipping into Morpheus; it did, so I never actually saw this mythical beast the X-ray machine. A real bugger because I like to inspect everything. I woke feeling very woozy indeed. Definitely groggy and the pins had minds of their own. In due course he and Will turned up and out we went – only when he opened the door to the surgery there was a blizzard raging, temperature well below freezing and snow some inches deep. Not for me! I turned back into the nice warm surgery, and refused to move. Then the ultimate indignity, for he scooped me up and carried me to the car. Did I tell you about us and cars? Well all my life I have been lifted in and out of transport and see not the slightest reason to give up the practice. Besides, I like it for in my professional life it was the one time I ever had really close human contact. I taught Will that on day one. When we got to the car he was in a mess for he could not unlock it and lift the door as he was holding Willow’s lead and me. He callously dropped me into the snow and then had the nerve to ask us to jump up. Moi!? Happily we’d agreed long ago that neither of us would do any such thing so he had to do it. There were waves of bad vibes from him. The journey home through the thick driving snow appeared to be a bit of a nightmare. At least I think it was for I was still drowsy and in quite a fog about what was happening. It wasn’t our car for that will go through anything but the other fools on the road. People seem to lose all reason when there’s a bit of snow about. You can see them; engines screaming, tyres flailing and the car just sits doing nothing except go in the opposite direction, or worse still, just sits. Twice he stopped and gave mini-driving lessons. One woman was overwhelmed with gratitude and all he’d done was tell her to put it into a high gear, lift the clutch and not touch the exhilarator. Home and he decided I needed to eat something – the very last thing on my mind. Have some lovely yoghurt; no thanks. Well, some milk; perish the thought. What about some scrambled egg? Definitely not! He must have got that in for we are a no egg house for he can’t cook eggs. Some of your favourite mackerel in tomato sauce, over my dead body. Then, the ultimate irresistible option, some nuts soaked in vegetable oil. Now that is lip smacking ambrosia. Had a desultory mouthful, thought about it for a few minutes, saw him add lashings more oil so felt duty bound to finish them off as he had gone to so much trouble. Actually it was just what was needed for felt replete and comfortable so snuggled down into my bed, he pulled the blanket over me and that was it until the morning. Oh, except that I did relieve myself in the utility room in the middle of the night when he came down for his midnight snack. He allowed it without demur. Actually I don’t think he even noticed. Not the sharpest knife in the box at that time of night. You can read all about my first three months in retirement in my book ‘The Diary of a Dog’. Rumour has it that my insights have helped many an owner with their first retired racing Greyhound. A sort of do it yourself manual on a type of dog that is unlike any other in behaviour. We like to keep ‘owners’ on their toes. Actually, they are nothing of the kind, we Greyhound are independent souls, so no one owns us. The Diary of a Dog by Bandit, illustrated by Viv Levy and transcribed by Robert Powell charts the day to day happenings of a retired greyhound as he settles into a domestic life, as seen through his eyes. The Diary of a Dog book, written by the retired greyhound, Bandit, with some help from his person no doubt, is a funny, poignant, and very moving account of his first months in a domestic home. A must read book. Fieldguard heavy duty honeycomb hollow mats doing sterling service covering a mud slide on Hampstead Heath. Over the past year, the Corporation of London has been undertaking flood prevention work on Hampstead Heath. The combination of this on-going work and the very heavy rains in mid-December produced a couple of mud slides over some of the most trafficked paths. They needed a temporary fix in a hurry, so the paths could be used by the many thousands of Londoners who take it as read that a slug of fresh air is included over the Christmas New Year period. Walkers appear in their thousands often in footwear more suited to pavements, so deep mud is not on the agenda. The Corporation turned to Fieldguard ten years ago when they had a problem with some woodland containing rare species of fauna in the Lea Valley Regional Park. The solution then was to lay a non-invasive pathway and our heavy duty honeycomb hollow mats worked perfectly.With the Heath mud slides, an answer was required in a hurry, so some of the mats at Lea Valley were taken up and temporarily transferred. As the mud slides were quite deep, two layers of our Fieldguard mats were used so that walkers wouldn’t get designer pumps and sneakers too dirty. They are working a treat! Mad About Dogs is a stunning new dog training centre just outside Chichester. During the building works, the owners had a problem in finding the right flooring to suit their purposes. 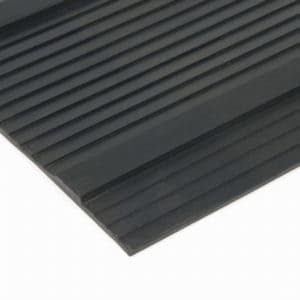 They wanted something that was stable, soft, warm and, above all slip resistant. They had a number of samples and quotes for children’s play area mats, but these proved unfit for purpose or wildly expensive. Mad About Dogs then approached us. 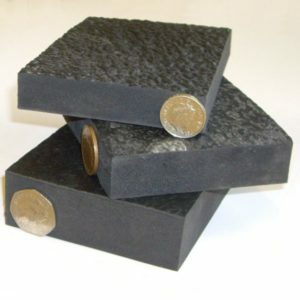 They wanted the right product, costed to cover a prescribed area and at a cost equal or better to their previous quotes. Fieldguard delivered on all fronts. In fact, we were able to quote and supply mats in four specifications and all were over £1,000 cheaper than their best previous quotations. 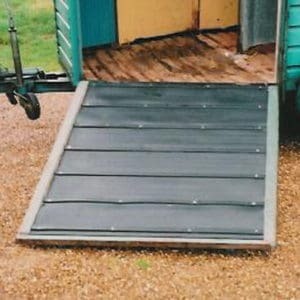 Mad About Dogs chose our M116 interlocking mats, which proved so ideal and cost effective that they were able to fit out all of their newly built complex, and clearing out our considerable stock in the process. They even took a pallet of imperfect mats (at a greatly reduced price). 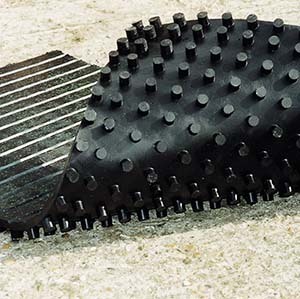 Mad About Dogs have found our M116 mats ideal for their needs, and they were delighted to have covered more areas than their budget would have allowed with alternate suppliers. Most importantly though, the dogs have taken to the surfaces with confidence. If you log onto the Mad About Dogs Facebook page you’ll see that a swimming pool has recently been added. Mad About Dogs tell us that the floor surrounding the swimming pool also has our M116 mats down. 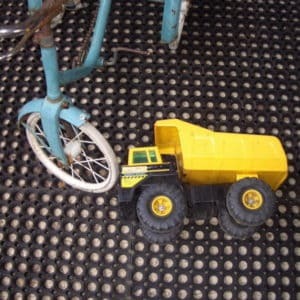 The Titan Barrow – your best friend all year round? From time to time we have been asked for an even larger muck barrow than the ‘Mammoth’ so we were pleased to add the monster Titan Barrow to our range.Beautifully balanced and very tough, the Titan's carrying capacity is only limited by the strength of the person pushing it.It’s good to know that the UK can still produce world beaters and the British made Titan barrow may well prove to be your best friend when it comes to moving deep snow.To order a Titan today, simply follow the link below. Fieldguard have supported the Celia Cross Greyhound Trust for many years. The Charity's complex is on clay/flint as well as being on a hillside, so our honeycomb hollow mud mats were the perfect choice, laid throughout. No more cut paws or nasty bald patches anywhere and NO MUD either. The last being most important because the kennels and runs are spotless. The dog pictured, is lying on a carpet of lush grass after the recent very heavy rains. The honeycomb mats prevented any depredation of what is a heavily trafficked area and allowed the grass to take root and grow through. Normally, a Greyhound racing around does a very good ploughing job of even the most hardy lawn or grass area. No longer the case at Celia Cross. (The brindle pictured was picked up having been chained to a fence and left. It was starving, terrified of humans and cowered and snarled when anyone tried to approach. It has now found a wonderful home and is, as the picture illustrates, extremely well adjusted and happy). Celia Cross is a small, independent charity that is totally funded by a vast army of friends who work tirelessly to raise funds to enable it to continue its work. It has no recourse to any ‘big brother’ such as the Government or even the Retired Greyhound Trust because it takes in any sight hound that is in need, not just Greyhounds. There is a miniscule paid staff comprising a Manageress and kennel maids; but also, of course, the many helpers. Some tend the dogs, others just do site and estate work – it has 81/2 acres of exercise fields, while others raise money by raffles, street collections, fairs and sales; vetting adoptive homes, ferrying in dogs in danger – often at a moment’s notice from as far afield as the north east, Ireland and Bulgaria. One helper just cleans the dog’s teeth, while another takes dogs home for a weekend to acclimatise them to a domestic setting, something most of them have never previously encountered. They have a small, volunteer manned, shop that caters for the needs of sight hounds called ‘The Dog House’. The Charity takes in any sight hound in danger or distress, nurtures it and prepares it for a domestic life. Would be adoptees are vetted, as are their homes and the Charity tries to match the right dog to the right circumstances. They purposely have limited accommodation so each dog gets the maximum care, but still manage to re-home an average of 240 dogs a year. To visit is an uplifting experience, for the place is well maintained and immaculate, the dogs universally in wonderful physical and mental condition and, because it is in both their nature and the current environment, enormously welcoming to visitors. Our honeycomb hollow ring mats come in a ‘light’, ‘regular’ and ‘heavy duty’ range of sizes and in a choice of colours to suit all circumstances and preferences. 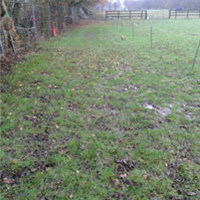 They can be laid on slippery brick, wood or stone pathways, to make a grass path, cover poached lawn to allow re-growth, reduce the mud in muddy gateways, solidify gravel paths and drives, eliminate dirt coming into public buildings, stop poaching on golf greens, allow vehicles to park on or drive over grass. They just make the impossible possible. Whew! We have certainly had it wet, which is probably why the Mud Mats have been flying out the door these past two months. 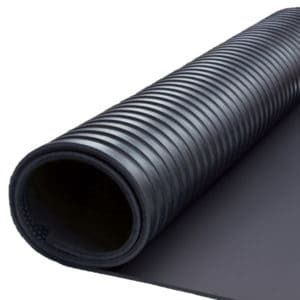 The pity of it being that they hadn’t a hope in hell of helping the poor people of Cumbria – or the Indian state of Tamil Nadu close to where the mats are made.We do still have stock of the larger hollow, honeycomb mud mat as well as its heavy duty sibling. What fencing solution do I need for my animals? 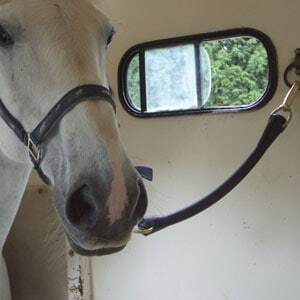 Why FIELDGUARD electric horse tape?